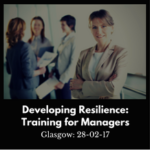 We are pleased to be running our “Developing Resilience: Training for Managers” as an open course in Glasgow. Our intention is to give organisations the opportunity to send just one or two people in the knowledge that they will be offered both a time and place to share best practice and learn form other delegates’ experiences. 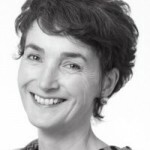 This resilience training course will be facilitated by Dot Gourlay who has many years’ experience training in the subject. Dot has trained hundreds of managers in developing their own resilience and that of their team. She is very experienced at facilitating so that everyone has the opportunity to share and learn from each other’s ideas and best practice. 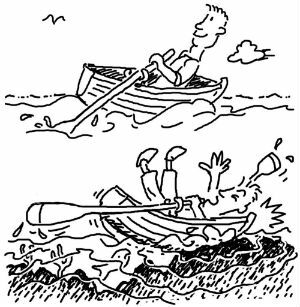 Our resilience training is very different from our stress management training. Stress Management usually involves strategies to identify the sources of stress and how they can be avoided or managed to reduce the negative health impact they have on either yourself and/or others. The process is usually reactive. Resilience training is more proactive in that it helps individuals understand how they can make themselves more resilient in preparation for what life throws at us. Resilience training acknowledges that we are all resilient in different aspects of our lives and that there is no reason why we can’t be just as resilient in other aspects as well. To achieve this the training encourages delegates to acknowledge the resilient skills they have and accept that they can increase their resilience in other aspects. Once this is accepted they will be motivated to use the knowledge and resources from the course to improve their resilience. This training course is for managers with responsibility for others. 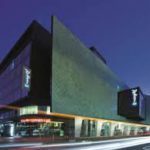 The course will take place at the Radisson Blu Hotel in Glasgow City Centre. The cost per delegate is £249 + VAT which includes refreshments and a restaurant lunch together with a course workbook and access to online resources. Each course is limited to 12 delegates and can be booked either by phoning the In Equilibrium office on 01383 622002 during office hours or through the Eventbrite online booking system. If you have any questions please don’t hesitate to either drop them to us in an email, [email protected], or call Alastair Taylor on 0131 476 5027. 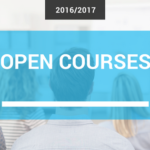 You can find full details of all our open course training here.